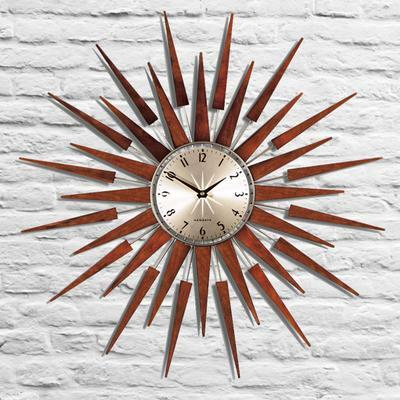 Wall clocks can simply tell time, but they can also transform into the most stunning wall piece if you get the right one. 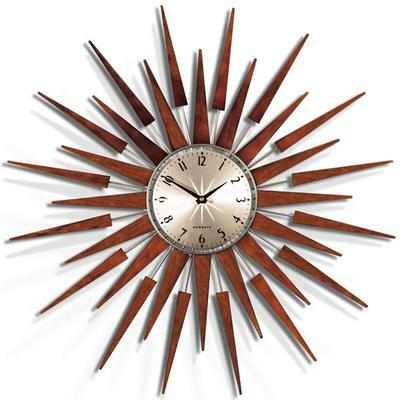 Presenting the Newgate Pluto Wall Clock from Red Candy! This gorgeous piece is designed to give your interiors some much needed jolt. It boasts of dark, wooden rays emanating from the center of the timepiece. The jet black numbers on the clock face are clean and easy to read, plus the look makes quite a statement. It actually echoes design elements popular back in the 60s so it's perfect for spaces that feature the same design touch. If you want something truly unique, then look no further than this one. It's one of those items you'll want to keep for life. Enjoy!